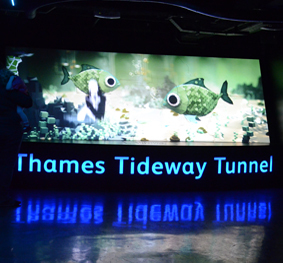 Задача: SEA LIFE London Aquarium wanted to refurbish its River Thames zone to create a projection mapping spectacle with a detailed and strong narrative on the Thames Tideway Tunnel Project. 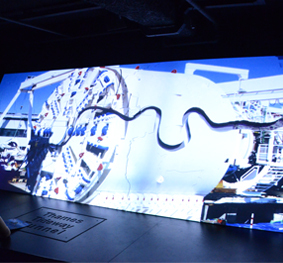 The gallery has a very low ceiling with limited space available so it was important the display was not obscured by visitors standing in front of the projection. 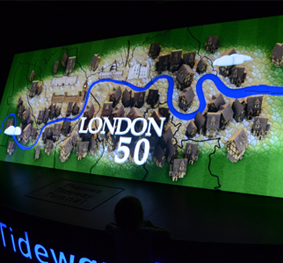 Решение: As part of the wider exhibition, two Optoma EH415ST projectors were installed and edge blended with Avolites Ai S4 media server to create a four-metre wide image onto a 3D map of London. 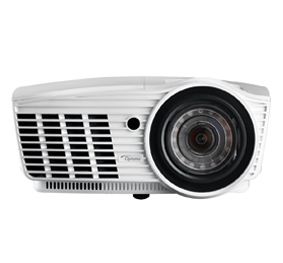 This shows a four-minute film with 3D projection mapped animated content telling a tale that spans 100 years, with multiple characters, sub plots and most importantly - humour. 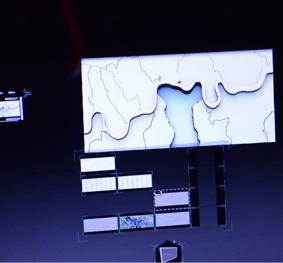 Результаты: The exhibition captivates visitors of all ages and from countries around the world using 3D mapping and illusion based graphics. It conveys, in a simple and fun way, the serious subject of sewage in the city and this complex infrastructure project.